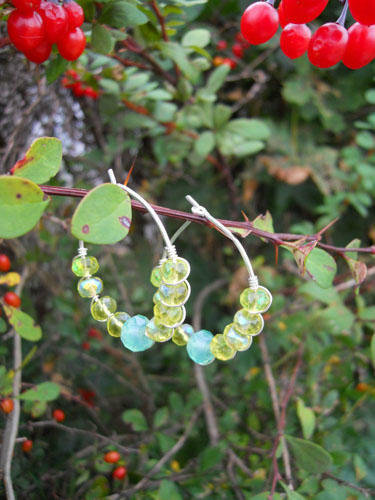 These bright faceted green roundel beads compliment the soft sky blue glass beads. 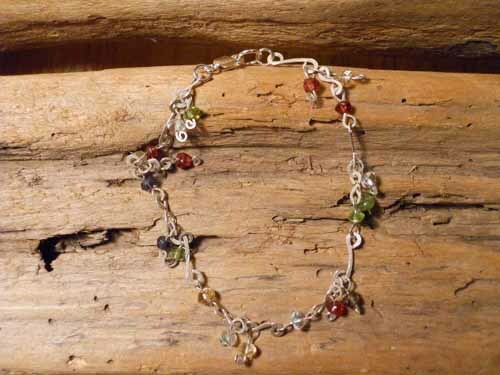 The beads are strung on square sterling silver wire. These hoop earrings measure approx. 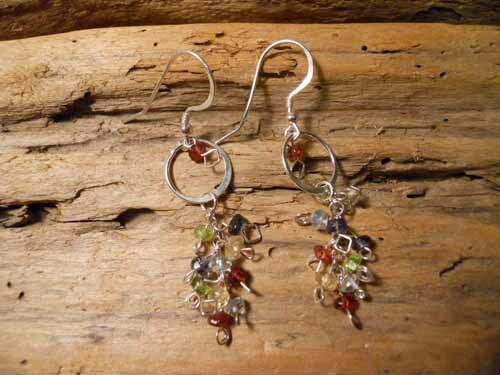 1 ½ inches and are wrapped together with sterling silver wire.